The Cayuga Duck breed is a type of domestic duck breed of moderate size and weight. 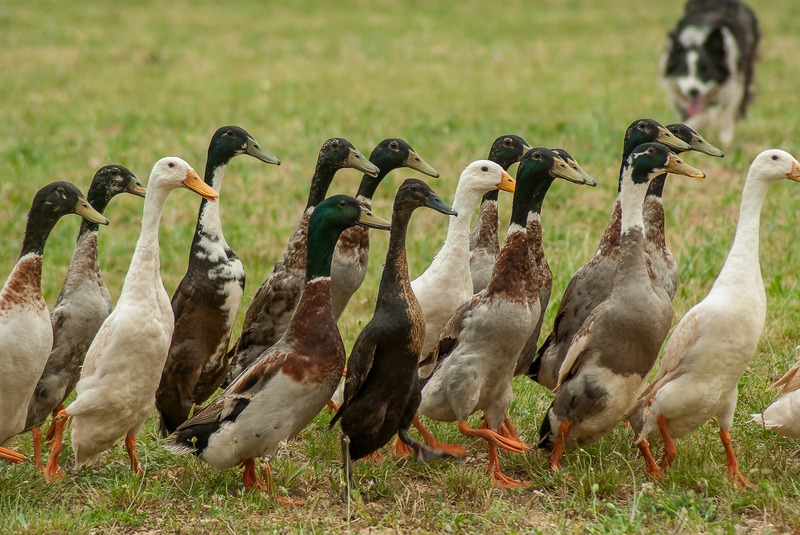 The Cayuga duck breed is detailed as being a “threatened” duck breed by the American Livestock Breeds Conservancy organization. Some backyard duck hobbyists also raise the Cayuga duck breed for ornamental purposes, much like the Call duck breed. The Cayuga duck can reach up to eight pounds for the male Cayuga ducks, and seven pounds for the female Cayuga ducks. The Cayuga duck breed is a dark duck with a dark bill. The feathers of the Cayuga duck have a black-green sheen to them. The Cayuga duck breed is an American duck breed. The Cayuga Lake in New York gives the Cayuga Duck breed its name. The Cayuga duck was first officially recognized and certified as a duck breed in 1874. This breed’s recognition was carried out by the American Poultry Association (APA). An interesting factoid about the Cayuga Duck is that it is relatively easy to tame and can make a great backyard farm pet. Cayuga ducks can eat regular duck feed. When foraging, the Cayuga duck breed also likes to eat bugs and snails. If you wish to brood and hatch Cayuga ducks, it takes 28 days to hatch the Cayuga duck’s eggs. Study this breed more extensively: All Breeds of Poultry, Origin: History: Description, Mating and Characteristics, by Frank L. Platt. Published by AMERICAN POULTRY JOURNAL, Chicago, Illinois.